The average sports game is pretty exciting. Sure, you get a boring dud from time to time, but in general people watch sports for the hit of adrenaline. And nothing is more enjoyable than a great comeback. Seeing a team come from behind when it seems like it's all over is a rush. It doesn't even have to be the team you support; a rival faction can still give you some of the best sports you have ever seen. These teams (and one individual) did it the best of them all. Some of them had such epic comebacks they are officially in the record books. Others were simply some of the most exhilarating television ever to grace a screen. Whether it was in individual games or over the course of a series, if you were lucky enough to watch these comebacks, they are probably seared in your mind forever. If you missed them, don't worry, now you'll be up to speed. Sometimes a game is so epic it earns a nickname, so fans can easily reference it for the rest of time. When a game becomes known simply as "The Comeback," you know exactly what it must be famous for. And since comebacks happen rather frequently in sports, this one must be king of them all. It happened on January 3, 1993, during the AFC Wild Card game. 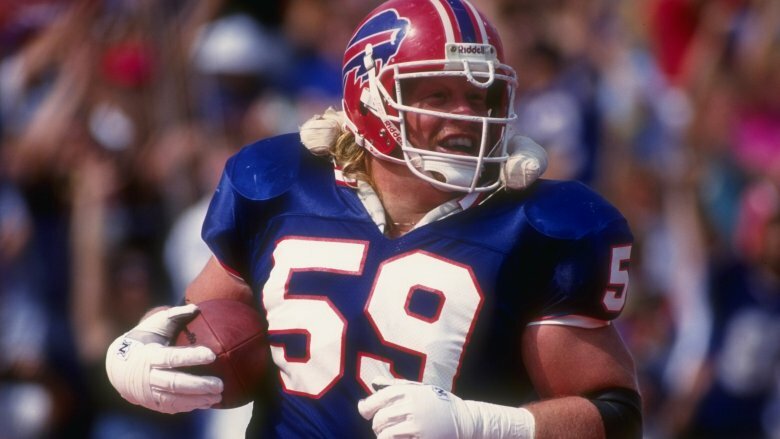 The Buffalo Bills were on their home turf playing the Houston Oilers. And they were losing. Badly. According to a contemporary New York Times article, it may have been because they were playing without their starting quarterback and one of their key linebackers. At halftime the Bills were already down 28-3. Thousands of fans took the opportunity to leave the stadium. Their defensive coordinator was pissed. A player who was there said he "exploded" in the locker room, saying stuff that can't be repeated here. The string of profanity was so inspirational to the players that the Bills went right out and threw an interception that was returned for a 58-yard touchdown. Then they lost their star running back to injury. They were down 35-3 and looking bad. Then the Bills started "scaling Mount Everest with a 50-pound rock strapped to [their] back." They scored a ridiculous 28 points in the third quarter, then another seven in the fourth (with Houston tacking on three of their own.) A field goal in overtime won the game 41-38 and put it in the record books. Liverpool FC's Champions League Final win over AC Milan on May 25, 2005, would go down as the "Miracle of Istanbul." (That's where they were playing; they didn't just pick a random name.) The Champions League is where all the European clubs play each other, and since that continent has most of the best soccer teams in the world, it produces some great matches. But few ever came close to this. According to the BBC, the Reds came into the game as underdogs. Milan wasted no time proving their dominance, scoring within the first minute. Then they added another two goals by halftime. To be down 3-0 at that point of the game in soccer is seen as basically insurmountable. It was set to be "the most one-sided final of all time." The bookies adjusted their odds and had Liverpool as a 100-1 longshot to win. Then the second half started, and the miracle happened. Ten minutes in, Liverpool scored. And they would score another two times within six minutes. Their goalie suddenly remembered how to play and made some amazing saves. It was tied 3-3 at 90 minutes and went to extra time. Since this is soccer, no one scored. So it went to penalties. Liverpool would triumph 3-2 in the shootout and lift the trophy, shocking everyone. One journalist gushed "from agony to ecstasy, the zeroes became heroes," and said that the match was "incredible. Amazing. Unbelievable," and "the greatest Cup final ever." The New England Patriots divide people fiercely. 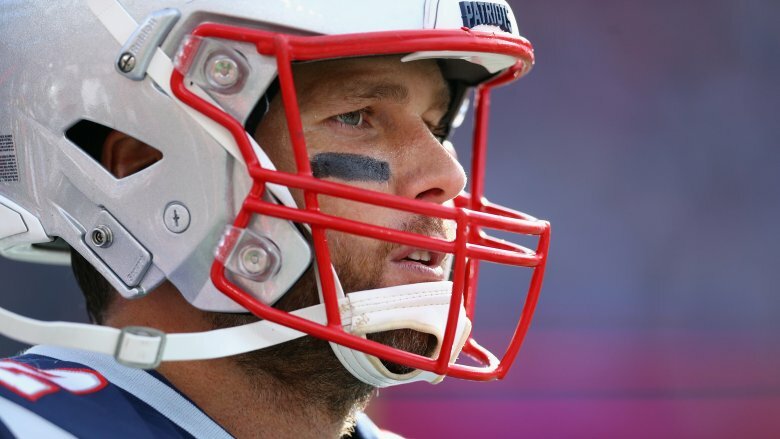 If you are from New England, you probably named your firstborn child either Tom or Brady. If you are from anywhere else, you probably hate them with the fire of a thousand burning suns. Which is what made their insane comeback against the Atlanta Falcons in Super Bowl LI all the more notable. Everyone was either rooting for the Patriots or watching in horror as they did the impossible. 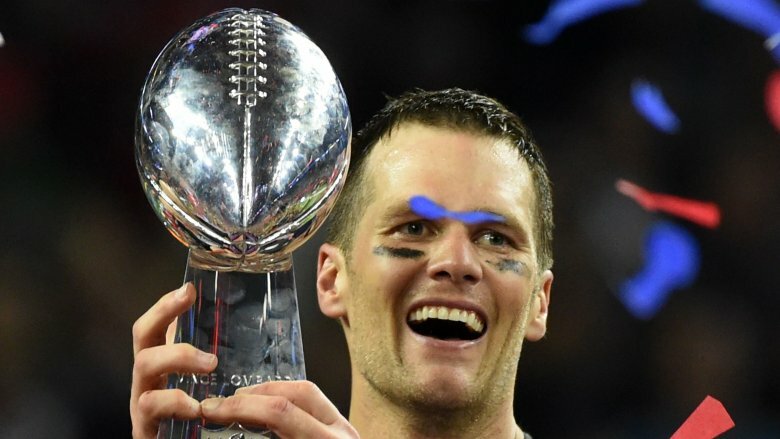 It was "one of the greatest big games of all-time" and "the most historic Super Bowl" according to the NFL, in part because of the 30 records that were broken or tied. It was also the first Super Bowl to be decided in overtime. And that was necessary because Tom Brady led his team to the biggest comeback the final had ever seen. At halftime it seemed that the Patriots, who had won the Super Bowl four times in the past 15 years, were headed for a big loss. The Falcons led 21-3. Despite whatever speech Bill Belichick gave in the locker room, the second half looked to be even worse, with the Falcons scoring a touchdown and making it 28-3. It was, said the Bleacher Report, "a write-off." The Falcons would not score for the rest of the game, and the Patriots surged. They clawed back 25 points to make it 28-28 at the end of the fourth quarter. A touchdown in overtime sealed it, and the nation was in shock. Not to get too sports technical, but the 2015-16 Golden State Warriors were very, very good. They had won the NBA Finals the previous season and looked to be about to do it again. The 2016 NBA finale was a rematch between the Warriors and the Cleveland Cavaliers. LeBron James had come home to his local club specifically to get them a title. Fans had been waiting a long time, and not just fans of basketball: No Cleveland-based pro team had won a championship of any kind since 1964. The Cavaliers had never won the NBA Finals, period. Now they'd had two chances in a row and it looked like they were going to blow them both. Over the years, Cleveland teams had such famous losses they got names. "The Drive," "The Fumble," and Michael Jordan's "The Shot" had all crushed their dreams. They'd lost the 2015 NBA Finals 4-2. And now they were down 3-1 to the Warriors in Game 4. As Fox 8 Cleveland pointed out, no team in Finals history had ever overcome that deficit. 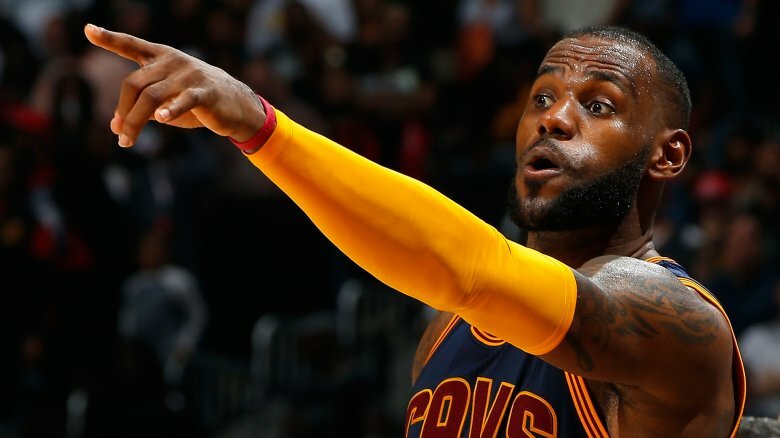 But the Cavaliers mounted a comeback to win Games 5 and 6 in "convincing fashion." At the end of the third quarter in Game 7 the Warriors were barely ahead. A nail-biting fourth quarter saw Lebron injure his wrist, but in the end the Cavaliers won 93-89, putting them in the record books. It's considered one of the most exciting finals in history, and for Cleveland especially it was "a night to remember." It had been "8 decades of torment and torture" according to Boston.com. The Red Sox hadn't won the World Series since 1918. It was all supposed to be down to a curse from when they traded Babe Ruth. They hadn't even been to the World Series at all since 1986. In 2003, they lost the American League pennant to their hated enemies, the "Evil Empire," the New York Yankees. In 2004, it was horrible deja vu. In the ALCS, the Red Sox were playing the Yankees again. And they were losing. The Yankees took the first three games in the best of seven series and were three outs from triumphing in the fourth game and sealing the series again. Then something amazing happened: The Sox clawed back a win. But they would still need to dominate all the remaining games, a seemingly impossible feat since no team in baseball had ever come back from 0-3 down to take a seven-game series. But they kept winning. The games stretched on forever, to a record-breaking 25 hours 36 minutes of baseball over six games. In Game 7, the Yankees did everything they could, but it wasn't enough. The Sox dominated from the first inning. Anxious fans held their breath. By the end of nine innings they had spanked the Yankees soundly, 10-3. They are, to this day, the only team to come back from a 0-3 deficit. 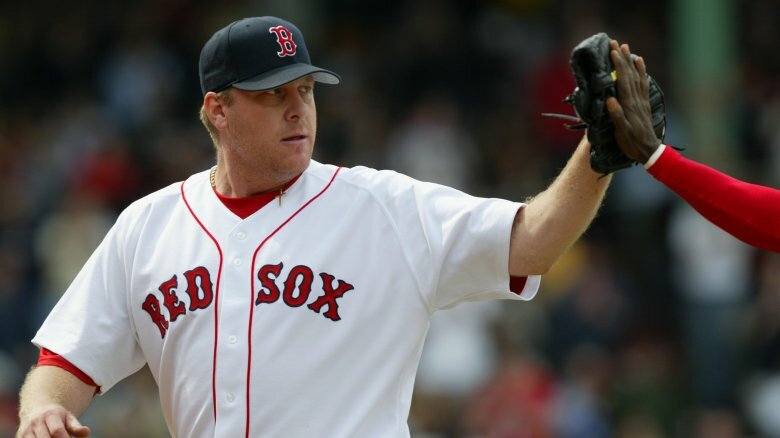 The Red Sox would go on to win the World Series that year, ending the 86-year curse. Tiger Woods had a hell of a decade. Before 2009, his life seemed virtually perfect. He was well on his way to being the greatest golfer ever. He had made so much money from his dozens of tour wins and sponsorships that he was obscenely rich. He had a beautiful wife and two lovely children. Then it all came crashing down in one of the most epic falls from grace ever. He was revealed to be a serial adulterer. His wife left him. Sponsors didn't want to be associated with that kind of scandal, so they dropped him in droves. Fans abandoned him. He entered rehab. It would be enough to affect any player's game badly, and it did. But according to the Tampa Bay Times, this wasn't the end of the poo storm. In 2017, Woods got a DUI. And he had started having knee and back problems. This led to so many surgeries that Woods "couldn't walk, couldn't stand, [and] couldn't sit." 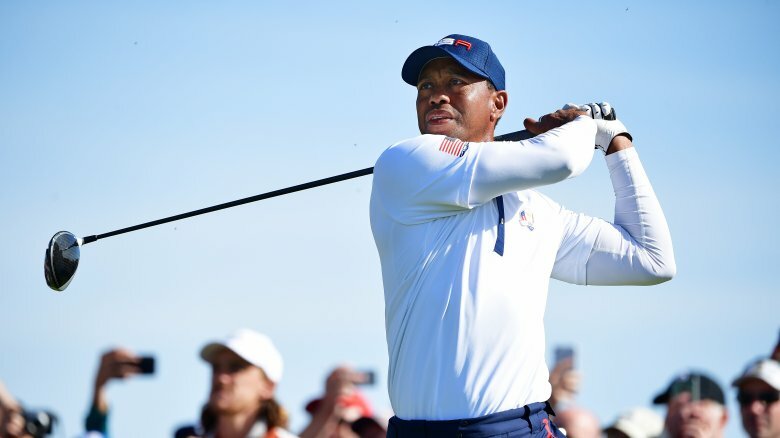 Despite having to change his swing and dealing with a fused lower spine, Woods managed what USA Today called a "remarkable" comeback in September 2018. That month he won the Tour Championship, his first PGA Tour success in over five years and his 80th career win. The 18th green was swarmed by thousands of his fans, showing the golf world was ready and willing to forgive Woods his many, many mistakes. The Toronto Maple Leafs met the Boston Bruins during the Stanley Cup playoffs in 2013. Whoever lost the best of seven series was going home, their dreams of competing for the trophy that year dashed. And while it came down to the final game, it looked like the Maple Leafs were going to walk away with it. They had come back from a 3-1 game deficit, their greatest success since the 1942 finals. Nine minutes into the third quarter of Game 7, the Leafs had a commanding 4-1 lead. They just had to hope the Bruins didn't pull off one of the greatest comebacks of all time. They would be disappointed. CBC described what happened as an "18-wheeler going right off a cliff," but really, it was an astonishing piece of work by the Bruins. Thanks to injuries they were playing with some novices, and initially it showed. But then they remembered scoring is an important part of hockey and started sinking goals. As the clock ticked down they torture-thrilled fans by mounting a comeback. With two minutes left, with the score 4-2, they pulled their goalie. Astonishingly, they scored twice in the final 90 seconds to tie the game. The home crowd went insane. A goal in overtime saw the Bruins advance to the semifinals. Boston defenseman Johnny Boychuk described the game as "unbelievable," and when asked what he would say to someone who missed it replied, "Too bad for them." 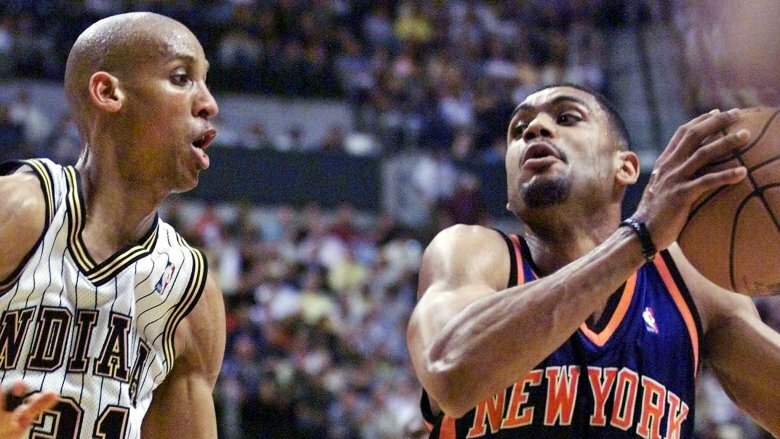 Game 1 of the 1995 Eastern Conference semifinals on May 7, 1995, was a comeback in miniature. According to ESPN, the game between the New York Knicks and their "hated rivals" the Indiana Pacers, was over. The Knicks were leading 105-99, and while that's not the biggest lead ever, with just 18.7 seconds left it would take some crazy feat to claw back a win for Indiana. Cue the crazy feat. The Pacers' Reggie Miller got the ball and made a 3-pointer with 16.4 seconds to go. Then, somehow, he managed to steal the Knicks' inbound pass and had the presence of mind not to go for two but to step back and sink another 3-pointer, all in 3.1 seconds. Suddenly, amazingly, the game was tied. The Knicks players were "shell-shocked," "numb," and "disoriented." For good reason, since the seemingly impossible had just happened. And it showed in their actions. A Knicks player was fouled, giving them the win on a platter again, but he missed both free-throws. They got another chance when they got the rebound off the second shot, but then legend Patrick Ewing drilled a 10-footer. Someone stupidly fouled Reggie Miller, who did not miss his free throws, and within nine seconds, the Pacers had gone from six behind to two ahead, with 7.5 seconds left in the game. A Knicks player then fell down on the way back up the court with the ball, ending the game and placing it among the most "spectacular" wins in basketball. 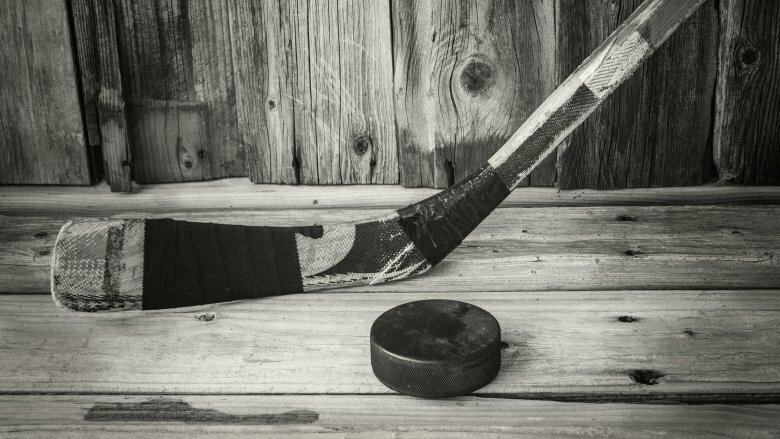 In 1942, a writer for the Detroit Free Press wrote, "Generations of hockey players yet unborn will hear time and again the story of the 1942 playoffs — the most exciting in the 50-year history of the Stanley Cup." The reaction of one of the players involved was a bit more subdued, crying, "By jiminy!" It was the middle of World War II, and fans could use some exciting and distracting sports. That year the Stanley Cup gave it to them in spades when the Toronto Maple Leafs "roared back" against the Detroit Red Wings to lift the trophy. It started terribly. They lost Game 1 in front of the largest ever Detroit crowd. The Ottawa City Council let out early just to watch Game 2, but the Maple Leafs lost that, and lost again in Game 3. No professional hockey team had ever come back from 3-0 down. One reporter said, "You couldn't get a wager that the surprising Red Wings would be halted in their mad dash for the cup." But in Game 4 the Leafs coach took a crazy chance, benching veteran players for complete unknowns. It worked, and the Detroit manager was so angry about his team's loss that he almost started a riot. The wins continued. The Leafs played Game 7 in front of a record home crowd. After dominating 3-1 they were "stunned." Their former coach was "rendered speechless." To this day, no one else has come back from such a deficit in the final. Sailing isn't a sport most non-yacht-owning people pay attention to, which is a shame, because in 2013 it saw what one reporter for the Mercury News called "the greatest comeback in the history of sports." 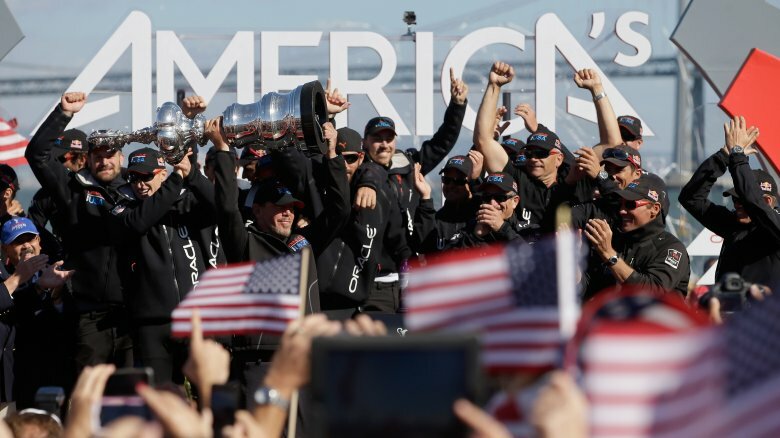 The Oracle Team USA's America's Cup win was also "pretty damn amazing," "remarkable," and "unprecedented." The America's Cup is the Super Bowl of sailing. It takes place over three weeks and is a best-of-17 series. Since the fancy boats involved cost a ton of money to buy, maintain, and crew, the owners tend to be people like billionaire Larry Ellison, who in 2013 was watching his team head toward an epic loss. The USA was down 8-1 against Emirates Team New Zealand. When the USA managed to claw back a race making it 8-2, people thought it was cute since "there was still no way the Oracle boat would win because the USA comeback effort was totally, utterly doomed." You know where this is going by now. In a story that the sailing community will "recite … over drinks for years to come," the USA team won an incredible eight races in a row. The crowd for the last one was so huge that officials had to turn people away. Larry Ellison got his win, and an epic place in the history books, but he did spend $100 million to do it, so it's debatable if it was worth it.